The massive airplane was flown at the Mojave Air and Space Port in Mojave, California. It's almost as big as the International Space Station and can weight up to 500,000 pounds. Built by the US company Stratolaunch, it is designed to launch rockets from the air. 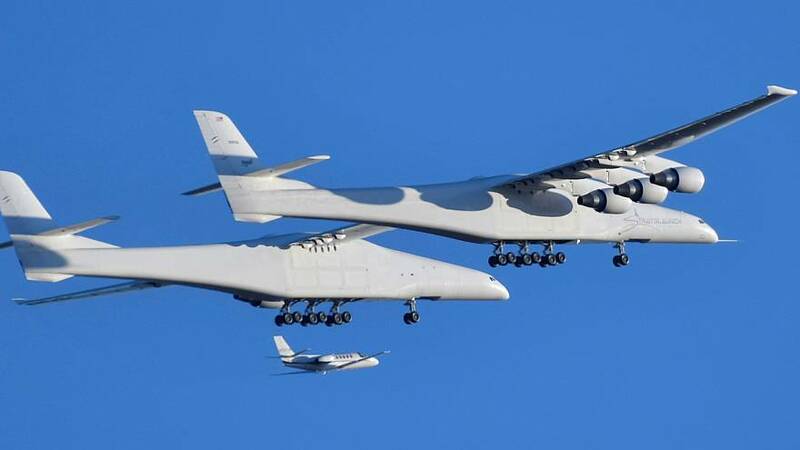 Stratolaunch was founded by the billionaire Paul Allen, who died in October 2018.